I am a social historian specialised in the history of Muslim-Jewish-Christian Relations in past and present and medieval Islamic history and civilisation. My interests lie at the intersection of history and religion. In 2014 the Center for the Study of Jewish-Christian-Muslim Relations, Merrimack College, U.S.A. awarded me the Goldziher Prize in Jewish-Muslim Relations in recognition of my teaching and research. Born in Chicago Professor Meri hails from a Jerusalemite family. He is presently Faculty Fellow at the Center for the Study of Jewish-Christian-Muslim Relations, Merrimack College, U.S.A. which awarded him the Goldziher Prize in Jewish-Muslim Relations in recognition of his research and teaching. From 2014-2015 he was Visiting Professor in the Department of Studies of Islam in the Contemporary World at the University of Jordan. During the 2013-2014 academic year Meri served as 8th Allianz Visiting Professor of Islamic Studies at the Ludwig Maximilians-University of Munich. From 2011-2014 he was a Visiting Fellow at the Centre of Islamic Studies, Cambridge University. From June 2010-March 2013 he was a fellow of St. Edmund's College, Cambridge University and served as Academic Director of the Centre for the Study of Muslim-Jewish Relations, Woolf Institute, Cambridge. He has travelled extensively throughout the Middle East and Europe and has lived in Oxford, London, Cambridge, Munich, Amman, Cairo, Damascus and Jerusalem. From 2005-2010 he lived in Amman, where he oversaw a major Qur’anic exegesis project at the Jordanian Royal Court. He previously held visiting appointments at the Institute of Ismaili Studies in London and the University of California at Berkeley. Prof. Meri is a social historian and a specialist in the history of Muslim-non-Muslim relations in past and present, medieval Islamic history and civilisation, and the comparative study of ritual in Islam and Judaism. Prof. Meri’s research interests include: Pilgrimage and the Veneration of Saints and Relics in Islam, Judaism and Christianity; Ritual in Islam and Judaism; Popular Religion; History of the Jews of Arab Lands. His teaching interests include: Ritual in Islam and Judaism; Pilgrimage in Islam and Judaism; Medieval Islamic History and Civilisation; Travel, Hajj and Ziyara; History of Sacred Places in the Middle East; The Jews of the Islamic World; Bibliographic Methods in the Study of the Abrahamic Religions, Autobiographical Writings of Middle Eastern Jews, Christians and Muslims. 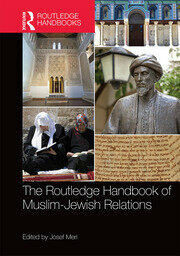 Prof. Meri served as Editor of the Routledge Handbook of Muslim-Jewish Relations (2016), a major academic resource for the academic study of Muslim-Jewish Relations. He previously served as Founding Advisory Board Member (Islamic Studies), Oxford Bibliographies On-line (2008-2010), General Editor of Medieval Islamic Civilization: An Encyclopedia (2002-2005), Series Editor of the Great Tafsirs of the Holy Qur'an series (Fons Vitae Publishers, USA with Royal Aal al-Bayt Institute for Islamic Thought, Amman, Jordan)(2005-2010), Section Editor (Islam) of Wiley-Blackwell's Religion Compass (2005-2010) and Book Review Editor (Medieval Islamic and Jewish Studies), Speculum, published by the Medieval Academy of America (2007-2012) and Founding Editor of Intertwined Worlds (2010-2013), an e-platform dedicated to the academic study of Muslim-Jewish and Muslim-Jewish-Christian Relations. Meri's forthcoming publications include two books: Pilgrims and Pilgrimage in Islam (Edinburgh University Press) and (ed.) Muslim-Jewish Relations in Past and Present: A Kaleidoscopic View (Brill Academic, 2017).